As a follow on from my previous blog post, where we looked at the different use cases for using Kerberos in SAS Viya 3.3, in this post I want to delve into more details on configuring Kerberos delegation with SAS Viya 3.3. SAS Viya 3.3 supports the use of Kerberos delegation to authenticate to SAS Logon Manager and then use the delegated credentials to access SAS Cloud Analytic Services. This was the first use case we illustrated in the previous blog post. The implications of using Kerberos delegation. 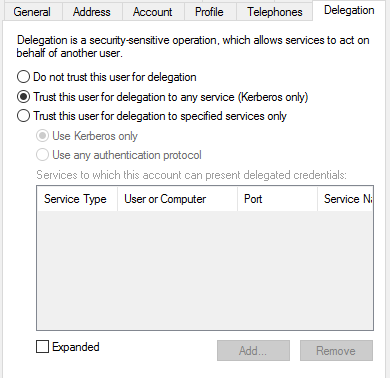 How to configure Kerberos delegation. Why would we want to configure Kerberos delegation for SAS Viya 3.3? Kerberos will provide us with a strong authentication mechanism for the Visual interfaces, SAS Cloud Analytic Services, and Hadoop in SAS Viya 3.3. With Kerberos enabled, no end-user credentials will be sent from the browser to the SAS Viya 3.3 environment. Instead Kerberos relies on a number of encrypted tickets and a trusted third party to provide authentication. Equally, leveraging Kerberos Delegation means that both the SAS Cloud Analytic Services session and the connection to Hadoop will all be running as the end-user. This better allows you to trace operations to a specific end-user and to more thoroughly apply access controls to the end-user. Configuring Kerberos delegation will involve configuring Kerberos authentication for both the Visual interfaces and SAS Cloud Analytic Services. First, we’ll look at the implications for the Visual interfaces. Once we configure Kerberos for authentication of SAS Logon Manager it replaces the default LDAP provider for end-users. This means that the only way for end-users to authenticate to SAS Logon Manager will be with Kerberos. In SAS Viya 3.3 there is no concept of fallback authentication. Kerberos will be our only option for end-user authentication and we will be unable to use the sasboot account to access the environment. Configuring Kerberos authentication for SAS Logon Manager will be an all-or-nothing approach. While the web clients will be using Kerberos for authentication, any client using the OAuth API directly will still use the LDAP provider. 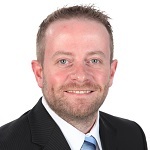 This means when we connect to SAS Cloud Analytic Services from SAS Studio (which does not integrate with SAS Logon) we will still be obtaining an OAuth token using the username and password of the user accessing SAS Studio. If we make any mistakes when we configure Kerberos, or if we have not managed to complete the prerequisites correctly, the SAS Logon Manager will not start correctly. The SAS Logon Manager bootstrap process will error and SAS Logon Manager will fail to start. If SAS Logon Manager fails to start then there is no way to gain access to the SAS Viya 3.3 visual interfaces. In such a case the SAS Boot Strap configuration tool must be used to repair or change the configuration settings. Finally, remember using Kerberos for SAS Logon Manager does not change the requirement for the identities microservice to connect to an LDAP provider. Since the identities microservice is retrieving information from LDAP about users and groups we need to ensure the username part of the Kerberos principal for the end-users match the username returned from LDAP. SAS Logon Manager will strip the realm from the user principal name and use this value in the comparison. Then considering SAS Cloud Analytic Services, we will be adding Kerberos to the other supported mechanisms for authentication. We will not replace the other mechanisms the way we do for SAS Logon Manager. This means we will not prevent users from connecting with a username and password from the Programming interfaces. As with the configuration of SAS Logon Manager, issues with the configuration can cause SAS Cloud Analytic Services to fail to start. Therefore, it is recommended to complete the configuration of SAS Cloud Analytic Services after the deployment has completed and you are certain things are working correctly. To be able to use Kerberos delegation with SAS Viya 3.3 a number of prerequisites need to be completed. First a Kerberos Service Principal Name (SPN) needs to be registered for both the HTTP service class and the sascas service class. This will take the form <service class>/<HOSTNAME>, where the <HOSTNAME> is the value that will be used by clients to request a Kerberos Service Ticket. In most cases for HTTP the <HOSTNAME> will just be the fully qualified hostname of the machine where the Apache HTTP Server is running. If you are using aliases or alternative DNS registrations then finding the correct name to use might not be so straight forward. For SAS Cloud Analytic Services, the <HOSTNAME> will be the CAS Controller hostnameNext by registering we mean that this Service Principal Name must be provided to the Kerberos Key Distribution Center (KDC). If we are using Microsoft Active Directory, each SPN must be registered against an object in the Active Directory database. Objects that can have a SPN registered against them are users or computers. We recommend using a user object in Active Directory to register each SPN against. We also recommend that different users are used for HTTP and CAS. So, we have two service accounts in Active Directory and we register the SPN against each service account. There are different ways the SPN can be registered in Active Directory. The administrator could perform these tasks manually using the GUI, using an LDAP script, PowerShell script, using the setspn command, or using the ktpass command. Using these tools multiple SPNs can be registered against the service account, which is useful if there are different hostnames the end-users might use to access the service. In most cases using these tools will only register the SPN; however, using the ktpass command will also change the User Principal Name for the service account. More on this shortly. Alternatively, to Microsoft Active Directory customers could be using a different Kerberos KDC. They could use MIT Kerberos or Heimdal Kerberos. For these implementations of Kerberos there is no difference between a user and a service. The database used by these KDCs just stores information on principals and does not provide a distinction between a User Principal Name and a Service Principal Name. For the Kerberos authentication to be delegated from SAS Logon Manager to SAS Cloud Analytic Services and then from SAS Cloud Analytic Services to Secured Hadoop, the two service accounts that have the SPNs registered against them must be trusted for delegation. Without this the scenario it will not work. You can only specify that an account is trusted for delegation after the Service Principal Name has been registered. The option is not available until you have completed that step. The picture below shows an example of the delegation settings in Active Directory. If the Secured Hadoop environment is configured using a different Kerberos Key Distribution Center (KDC) to the rest of the environment it will not prevent the end-to-end scenario working. However, it will add further complexity. You will need to ensure there is a cross-realm trust configured to the Hadoop KDC for the end-to-end scenario to work. Once you have registered each of the SPNs you’ll need to create a Kerberos keytab for each service account. Again, there are multiple tools available to create the Kerberos keytab. We recommend using the ktutil command on Linux, since this is independent of the KDC and makes no changes to the Kerberos database when creating the keytab. Some tools like ktpass will make changes when generating the keytab. In the Kerberos keytab we need to have the User Principal Name (UPN) and associated Kerberos keys for that principal. The Kerberos keys are essentially encrypted versions of the password for the principal. As we have discussed above, about the SPN, depending on the tools used to register it the UPN for the Kerberos keytab could take different forms. When using ktpass to register SPN and create the keytab in a single step the UPN of the account in Active Directory will be set to the same value as the SPN. Whilst using the setspn command or performing the task manually will leave the UPN unchanged. Equally for MIT Kerberos or Heimdal Kerberos, since there is no differentiation between principals the UPN for the keytab, will be the SPN registered with the KDC. Once the Kerberos keytabs have been created they will need to be made available to any hosts with the corresponding service deployed. Finally, as far as prerequisites are concerned we might need to provide a Kerberos configuration file for the host where SAS Logon Manager is deployed. This configuration should identify the default realm and other standard Kerberos settings. The Kerberos implementation in Java should be able to use network queries to find the default realm and Kerberos Key Distribution Center. However, if there are issues with the network discovery, then providing a Kerberos configuration file will allow us to specify these options. The Kerberos configuration file should be placed in the standard location for the operating system. So on Linux this would be /etc/krb5.conf. If we want to specify a different location we can also specify a JVM option to point to a different location. This would be the java.security.krb5.conf option. Equally, if we cannot create a Kerberos configuration file we could set the java.security.krb5.realm and java.security.krb5.kdc options to identify the Kerberos Realm and Kerberos Key Distribution Center. We’ll show how to set JVM options below. A. Kerberos used to authenticate to SAS Logon Manager. SAS Logon Manager uses the Kerberos Keytab for HTTP/<HOSTNAME> to validate the Service Ticket. Delegated credentials are stored in the Credentials microservice. B. Standard internal OAuth connection to SAS Cloud Analytic Services. Where the origin field in the OAuth token includes Kerberos and the claims include the custom group ID “CASHOSTAccountRequired”. C. The presence of the additional Kerberos origin causes SAS Cloud Analytic Services to get the CAS client to make a second connection attempt using Kerberos. The Kerberos credentials for the end-user are obtained from the Credentials microservice. 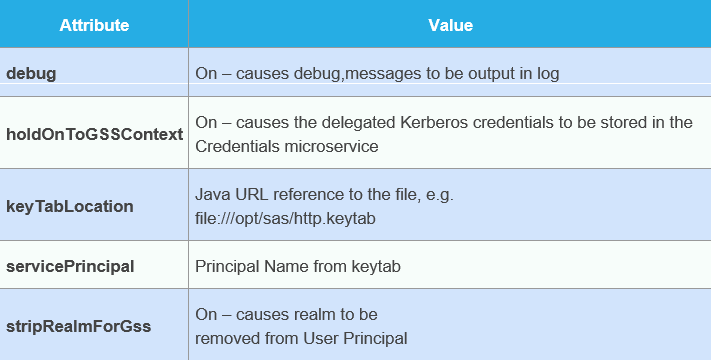 SAS Cloud Analytic Services Controller uses the Kerberos Keytab for sascas/<HOSTNAME> to validate the Service Ticket and authenticate the end-user. Delegated credentials are placed in the end-user ticket cache. D. SAS Cloud Analytic Services uses the credentials in the end-user ticket cache to authenticate as the end-user to the Secured Hadoop environment. Kerberos authentication must be configured for both SAS Logon Manager and SAS Cloud Analytic Services. Also, any end-user must be added to a new custom group. SAS Logon Manager is configured in SAS Environment Manager. Note: Before attempting any configuration, ensure at least one valid LDAP user is a member of the SAS Administrators custom group. For more information see the SAS Viya 3.3 Administration Guide. This completes the configuration of SAS Logon Manager and the operating system process for the SAS Logon Manager must be restarted. The configuration for SAS Cloud Analytic Services is not performed in SAS Environment Manager and is completed by changing files on the file system. The danger of changing files on the file system is that re-running the deployment Ansible playbook might overwrite any changes you make. The choices you have is to either remake any changes to the file system, make the changes to both the file system and the playbook files, or make the changes in the playbook files and re-run the playbook to change the file system. Here I will list the changes in both the configuration files and the playbook files. Note: Unlike the SAS Logon Manager option above, this is separated with full-stops! With this in place we can restart the SAS Cloud Analytic Services Controller to pick-up the changes. If you attempted to test accessing SAS Cloud Analytic Services at this point from the Visual interfaces as an end-user you would see that they were not delegating credentials and the CAS session was not running as the end-user. The final step is to create a custom group in SAS Environment Manager. This custom group can be called anything, perhaps “Delegated Users”, but the ID for the group must be “CASHostAccountRequired“. Without this the CAS session will not be run as the end-user and delegated Kerberos credentials will not be used to launch the session. What we have outlined in this article is the new feature of SAS Viya 3.3 that enables Kerberos delegation throughout the environment. It allows you to have end-user sessions in SAS Cloud Analytics Services that are able to use Kerberos to connect to Secured Hadoop. I hope you found this helpful.